Whether a brisk morning on the farm or a shaded, windy worksite, the Armstrong Active Jac lets you work right through it all. Zip it up, grab your tools, and get to it. The fleece lining provides chill-chasing comfort. The duck provides reliable toughness, yet is washed for added softness. Plus, Full Swing® design promises unrestricted range of motion. Full Swing design means you get a work Jacket that moves with you without riding up your back or scrunching up your work shirt. How? The Mighty BackTM bi-swing panel construction stretches and recovers across the shoulders. The underarm Freedom GussetTM prevents the sleeves from riding up while letting your arms move freely. And the Flex ElbowTM has a stretch panel with articulated seams for big bend ability. For jobs that require a lot of cargo lifting or tool handling, it's Full Swing ahead. 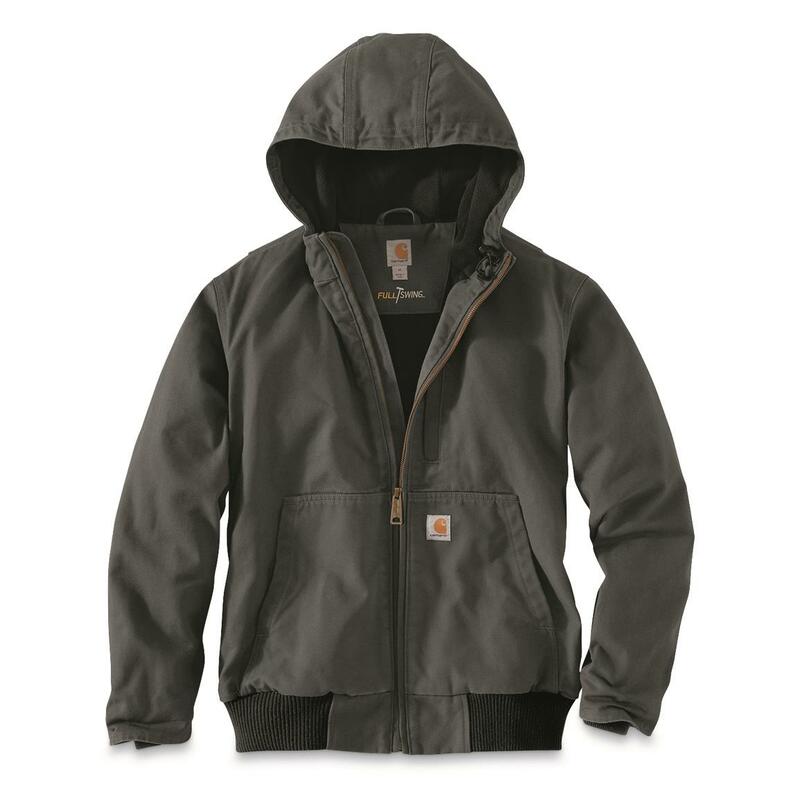 Get this Carhartt® work Jacket delivered right to you!